Dynasty Warriors 7 is a third-person Action/Hack and Slash, developed by Omega Force and Koei. It is the seventh installment of the Dynasty Warriors series. The story is based on the Chinese writer Luo Guanzhong's historical novel Romance of the Three Kingdoms. 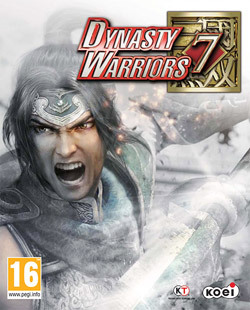 Dynasty Warriors 7 was first announced at the 2010 Tokyo Game Show, later on going through a series of updates, including improved graphics and gameplay, with the support of stereoscopic 3D. The game was then released on March 29, 2011 for the Playstation 3, Xbox 360, and Microsoft Windows. In Dynasty Warriors 7, there are 6 modes, including Story Mode, Conquest mode, Gallery, Options, and Tutorial. In story mode, players get to play as 4 major factions, Wei, Wu, Shu and a new major faction, Jin. These 4 factions all have different characters, situations, stories, and endings. Most of the levens start from a fairly easy pace to a hard level. Conquest mode allows you to "conquer" China and forge a path throughout the land. You are able to change to different characters, forge new weapons, and play a variety of missons like a certain officer's legendary battles, different treasure battles, defensive battles, and more. This page has been accessed 10,059 times.